Fertile, Minn. (February 18, 2013) With its riders scattered across the globe at different snowmobile racing events, Christian Brothers Racing was able to bring home podium finishes in two different disciplines while at the same time embarking on the longest snowmobile race on the planet. 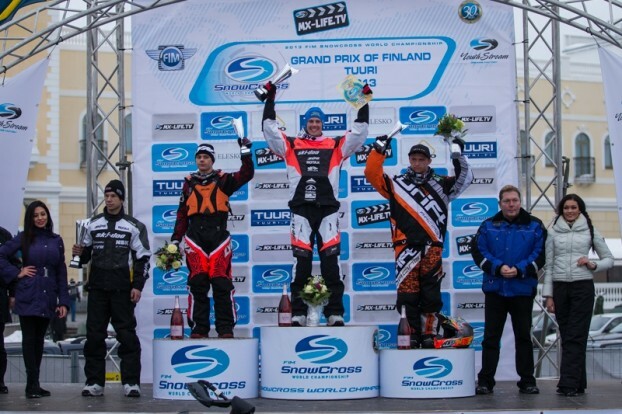 Logan Christian and Garth Kaufman traveled to Tuuri, Finland, to compete in the FIM Snowcross World Championship. With the help of Bengan Westerlund (www.catmaster.se), the team was able to get ready in record time to represent the Untied States on the worlds stage for snowcross.